Alexeyev’s insistence that there were no minors present at the City Hall can be taken as proof, if proof were needed, that the law was not motivated by a desire to protect Russian children or Russian society but is the latest in a series of legislative measures used by the state to intimidate political opponents and generate an atmosphere of legal disquiet. Were activists to go ahead and hold meetings or rallies which were subsequently attacked, police could use the law to justify not intervening to protect activists, as the events could be deemed ‘homosexual propaganda’ – a criminal offence. 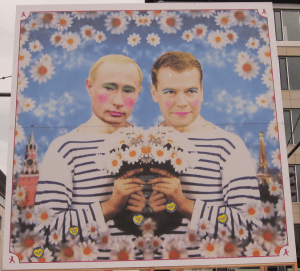 While the threat of prosecution and violence should not be underestimated, a more damaging consequence of the law for LGBT individuals in Russia is the association of homosexuality with criminality. Activists’ ability to convince the general population that LGBT individuals deserve equal rights is seriously undermined if they are viewed as criminals. The law thus seeks to silence anyone attempting to counter a political discourse in which homosexuals are depicted as social deviants, paedophiles or mentally ill, and grants homophobes an exclusive voice and moral leadership in public debates about sexuality. The law has also brought LGBT rights in Russia – a topic which the authorities sought to suppress – to national and international attention. The law triggered a media frenzy and has been the subject of lively debates on television, in which activists have been able to make their case for greater equality. The visibility the legislation has inadvertently produced can be seen an important component of resistance to the state-sponsored attempts to make homosexuality invisible. So far, however, international pressure is having little impact on Russia. Last month, for the first time, a Council of Europe conference of ministers ended without a declaration being adopted, due to Russia’s opposition to an item referring to the requirement to combat discrimination and violation of the rights of LGBT youth. Moreover, the Russian authorities still refuse to allow a Pride parade to go ahead in Moscow, despite the judgement against them by the European Court of Human Rights. 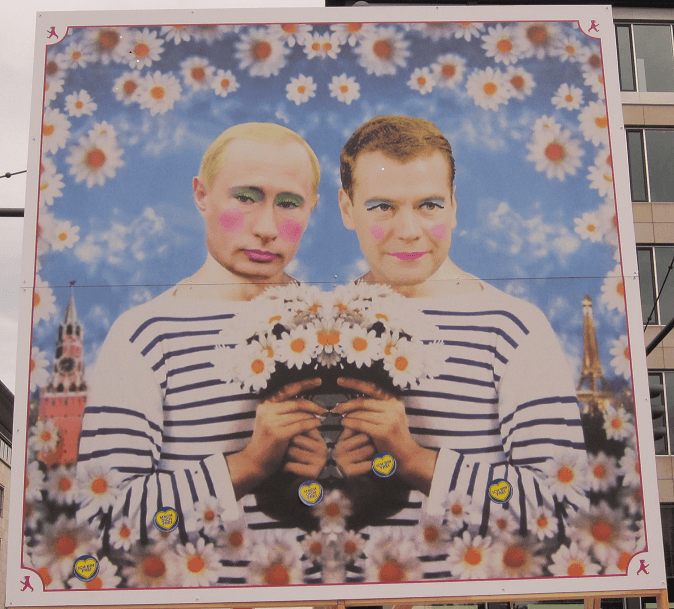 While the majority of Russian citizens may feel that anti-gay legislation does not affect them, they should nevertheless be concerned at the increased use of the law as an instrument of state power. Richard Mole is Senior Lecturer in Political Sociology at UCL-SSEES. His research focuses on the relationship between identity and power, with particular reference to political legitimacy, social citizenship, gender and sexuality. Richard is currently engaged in a project researching the experience of LGBT individuals from Eastern Europe and Latin America, who have migrated to Berlin or London. If you are LGBT and from Latin America, Russia, Poland, Serbia, Latvia or Romania, please consider helping the research by filling in the questionnaire on the project website.